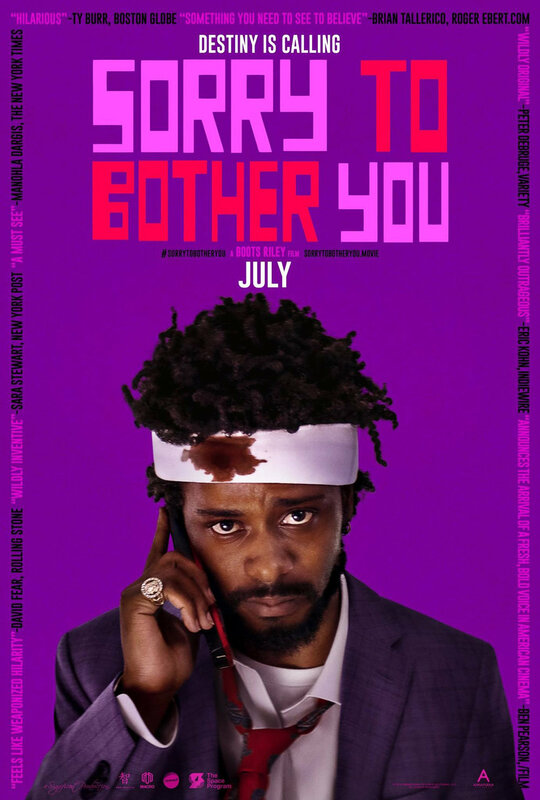 This week on The First Run, Chris and Matt watched Boots Riley’s directorial debut, ‘Sorry To Bother You’. LaKeith Stanfield stars as Cash Green, a young man desperate to improve his life in order to make a better life for himself and his girlfriend (Tessa Thompson). When he takes a job at a telemarketing firm things get weird. No, seriously. Really weird. Then it’s on to the latest Dwayne Johnson joint, ’Skyscraper’. What happens when you mix a super tall building, a big ol’ fire, and The Rock? How’s a warmed-over ‘Die Hard’ remakes sound? There’s the always reliable rundown of the big releases on Blu-Ray & DVD, featuring the Straight To DVD and Streaming Picks of the Week. Finally, Matt and Chris discuss the happenings and goings-on at this year’s recently ended San Diego Comic-Con. What were the most interesting moments? What made your hosts laugh the most, what made them angry and what filled them with an overwhelming sense of ‘meh’. Tune in to find out!